A budget, "let's get out of town" trip for our anniversary, we head to The Big Easy. Rustem had always wanted to see the South; I hadn't been to NOLA since I was a teenager and though not particularly enamored of this city on the Mississippi, we decided to see what post-Katrina New Orleans was like, and help give the city a boost. 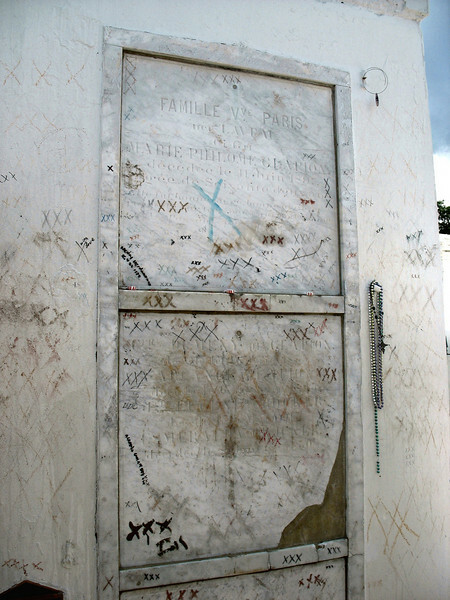 Tomb of legendary Voodoo Queen, Marie Laveau.